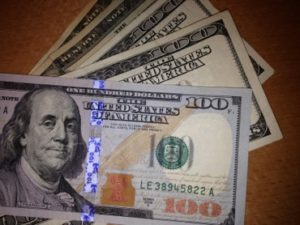 How much should we budget for ergonomics? Who should pay for it? Do we really need it? What value can we expect from our investment? Ergoweb always emphasizes that ergonomics brings far more value to production environments than just reducing injuries. A mis-match between worker capabilities and standard work in production processes will impact quality and productivity metrics, often creating more waste, direct costs and lost opportunity, than injuries do. But, if injury prevention is a driver for your ergonomics process, here’s additional evidence to support your ergonomics budget needs. Each year, Liberty Mutual Insurance Company publishes their Safety Index. In the 2016 Index, using 2013 Bureau of Labor (BLS) statistics, the top 10 causes and direct costs of the most disabling U.S. workplace injuries and accidents, from which employees miss six or more days of work, was more than $51 billion, or 82.5 percent of the total direct costs of $62 billion. In the 2017 Index, using 2014 BLS data, these accidents and injuries accounted for $49.9 billion, or 83.4 percent of the total cost of $59.9 billion. The actual costs related to such injuries are always higher than these direct costs, sometimes by as much as 3 times. 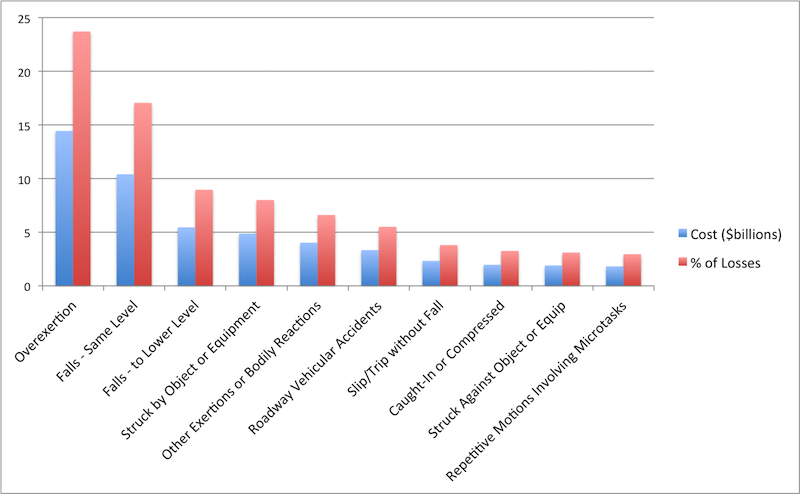 2016-2017 Liberty Mutual Safety Index data pooled into ergonomics-related and safety-related categories. 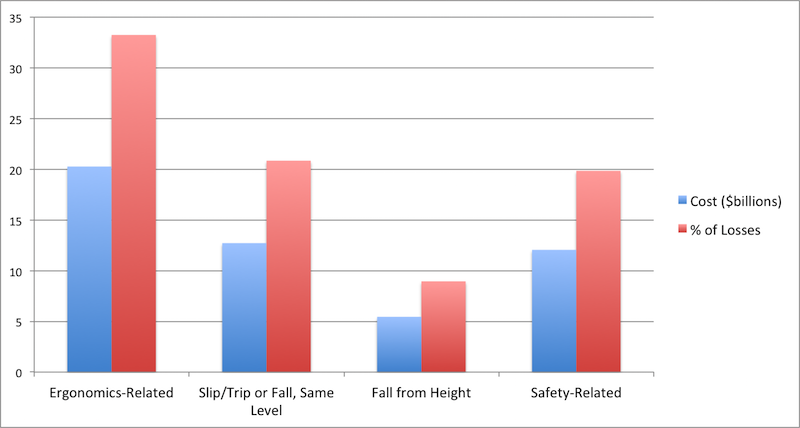 We could quibble over whether the slip/trip or fall and fall from height data should be categorized under safety or ergonomics, but here at Ergoweb, we consider these categories ergonomics-related failures that demand attention to both engineering (process design and layout) and behavior (standard work practices). No matter how you slice the data, ergonomics-related failures are always a leading loss. Training those responsible for ergonomics, which should eventually be most or all employees, but at least for those immediately responsible for process design, operations and continuous improvement. The tools, methods and equipment you’ll need to properly assess, measure and improve your work processes. The internal or external expertise you’ll need to develop and carryout an effective, sustainable ergonomics improvement process. The cross-functional teams that will lead your ergonomics process improvement efforts. The methods and metrics you’ll institute and track to measure success. Based on our experience, which is supported by this Liberty Mutual data, health and safety losses for ergonomics-related issues likely account for at least 30% of your total EHS losses. Therefore, it logically follows, a substantial portion of your investment in EHS risk control should be directed toward your ergonomics improvement process. If you also consider the improvement opportunity ergonomics brings to production quality and productivity metrics — 8.4 month pay-back period, 67% reduction in production error and scrap rates, 25% increase in productivity — your total corporate budget and investment in ergonomics could, and arguably should, be higher. The exact amounts you invest will depend upon the breadth and depth of your existing or planned ergonomics process, and how quickly you intend to roll out or improve that process. Questions? Contact us to learn more about developing an ergonomics process and how to strategically budget for strong ergonomics value and ROI.